As a part of our research into applying ICTs to the data capture element of land registration, we conducted a series of interviews in Taita Hills touching on major issues people face when it comes to land tenure. The interviews were done in Wongonyi, Ghazi, and Kishushe village, and other locations throughout Taita Taveta County. 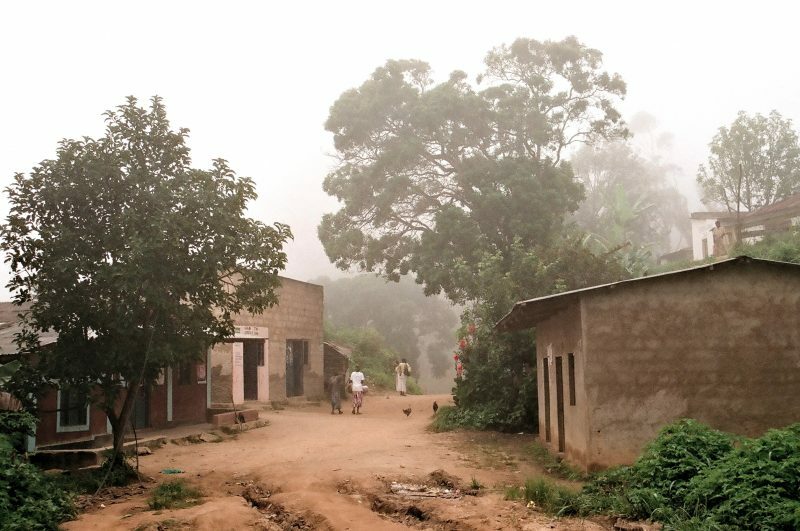 Research in Taita Hills revealed that the communities are not fully aware of their rights to land and the process of land registration. This leads to a continued sense of insecurity and injustice when it comes to land ownership in the area. In recent years, a formal adjudication was carried out in some parts, however, the results of the adjudication processes are yet to be seen and, in many adjudicated areas, title deeds are yet to be issued. There is a discord between the traditional landholding and inheritance systems and the government issued legal adjudication process. The respondents understood the value of the title deed, they saw it as a permanent and government-issued record of ownership but did not attach much importance to the legal process of demarcation or subdivision itself. The ownership to the land had often been passed down from parents to children through oral tradition and without any formal process of subdivision or registration. The knowledge of boundary points of properties is oftentimes held in the collective memory of the community, often by the elders. If the knowledge is lost, there’s no way of retrieving it. Nevertheless, the sale or transfer or subdivision of land in Taita Hills has continued since. The transactions carried out were often recorded on a piece of paper and without any other formal records. In some cases, the only proof of land transactions were plot numbers and names written on a piece of paper. Without formal records to the ownership of land, confusion and conflict occurred. There were several examples of how missing records lead to disputes. For example, in some cases the children who lived outside the community returned to what they thought was their ancestor’s land, only to find that the land has been “transferred” to someone else. The children demanded that “new owners” show the proof of official transfer documents and when they couldn’t produce them, they asked them to leave the premises, causing tensions within the community. Similar examples touch on land that was in the past donated to churches, hospitals, schools, and other institutions. The land was donated without written or formal agreements and for an unclear period of time, causing similar tensions as in the previous example. Another potential cause of tension can occur in the future. Once the adjudication process occurs and title deeds are finally issued to the owners, they are usually issued in the names of original owners (at least the ones captured during a survey completed decades ago) and not necessarily the people who occupy the land at that particular time. This can lead to more tension in the community. Finally, most community members did not know which government offices handle land matters. The term ‘land office’ was used to denote an institution that is all-encompassing when it comes to land matters but people did not know its actual responsibilities. In fact, the chief’s office emerged as the preferred initial point of contact for all land matters. On top of that, the respondents did not understand the processes of land adjudication and titling or the costs involved or of the documentation required for various procedures. There are several solutions that can be put in place to mitigate some of these problems. Creating proper digitized land records is, of course, one of them. In the future blogs, we’ll discuss some of the easiest and most cost-effective options to do just that. According to the Lands Office in Voi, Taita Taveta County the area has been adjudicated as a large adjudication zone in a process that began in the late 1980s and ended in the early 2000s. The same was confirmed by the village elders and the elderly who confirmed having participated in the process of adjudication. It is worth noting that some of the titles issued were defective because the names of owners were incorrect.